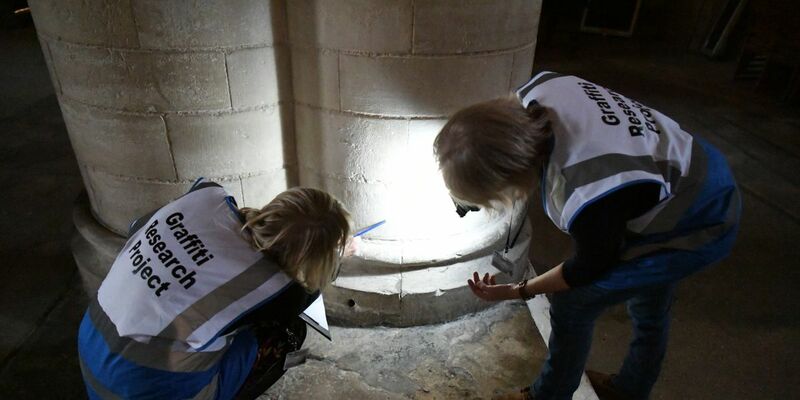 Throughout the year our Volunteer Graffiti Researchers can be found in the Cathedral investigating and recording its historic graffiti. Volunteers are very happy to share what they have discovered so please do stop and talk to them to find out more about the fascinating marks made on this ancient monument. The volunteers are easy to spot in their blue and white tabards with Graffiti Research Project written on the back.